TriNet is a consistent supporter of a various entrepreneurial and startup events around Central Florida. On August 27, 2013, VenturePitch Orlando returned for another round of demos by four companies (learn more about the companies at the bottom of the post). TriNet is one of the continued supporters of VenturePitch Orlando, as the stage sponsor. This time, with our partnership, we brought Google Glass along to give participants a chance to try them out and give their thoughts on the latest in wearable technology. 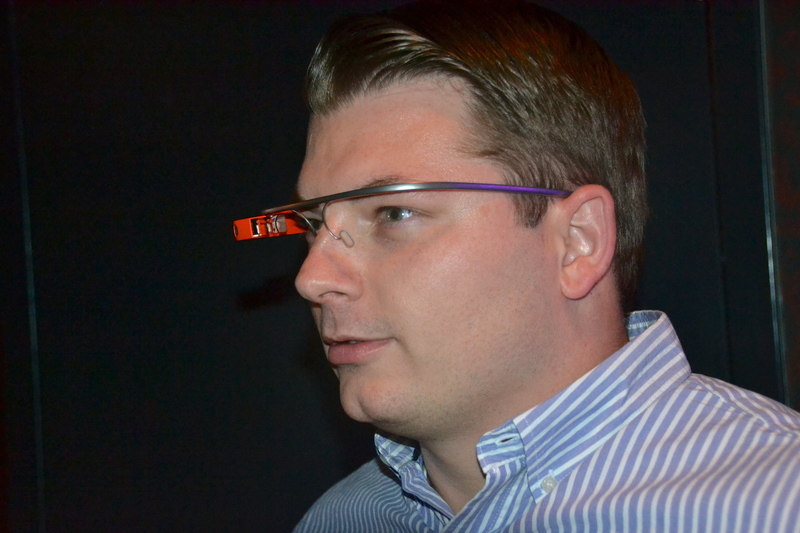 This was Brooks’ first time getting to try on Google Glass. 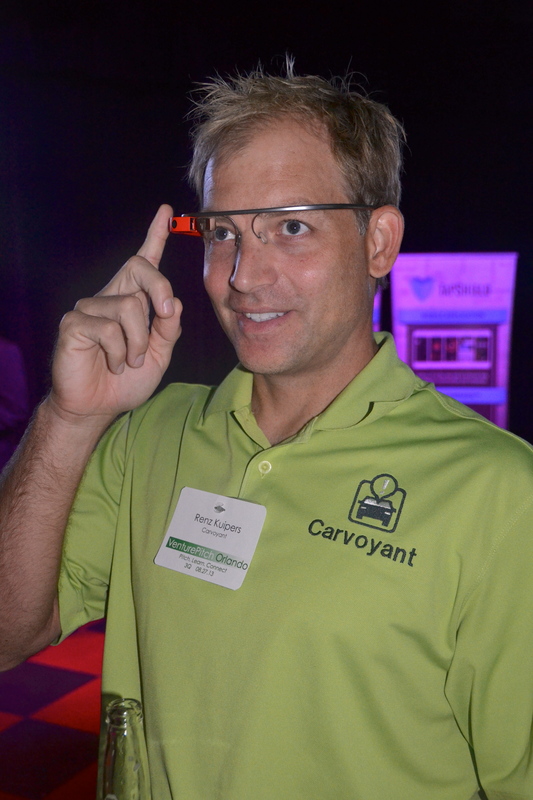 Another first time user, Renz Kuipers of Carvoyant, can’t wait to get his own pair of Google Glass. Carvoyant is also a client of TriNet. Not everyone is an instant believer in Google Glass. “This product has a lot of potential in the next 10 years. I feel that they are too intrusive on everyday life right now, but as the evolve they will get easier to wear and use. I do not want a pair right now, but might when they are smaller or contacts. TriNet will be sponsoring both Florida Blogger and Social Media Conference (Sept 21) and iSummit (Oct 1-2). 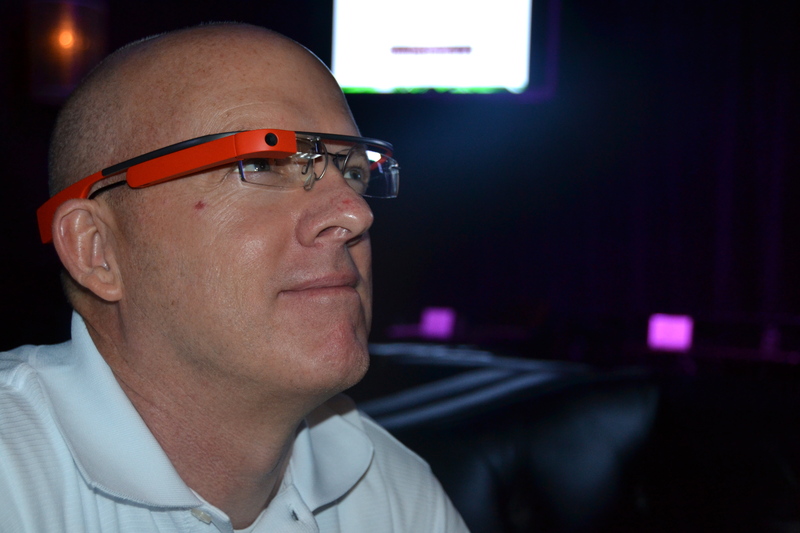 Expect to have a chance to check out Google Glass at both of these events in Orlando. TapShield is the new way to summon help. We’re an Orlando startup revolutionizing 911 using the device you already own – a smartphone. TapShield uses mobile and cloud-based web technology to provide the fastest way to connect to police in event of emergency. Mevesi is an Orlando startup providing business intelligence solutions for pharmacies with the goal of helping them strengthen their market/financial position. Primary competition includes other organizations that offer reports and data for pharmacies. Mevesi has increased its presence in the United States to over 500 licensed stores.Mevesi’s target market is comprised of over 60,000 stores. The company’s primary target market includes mass merchants, grocers, regional chains and independent pharmacies. Secondary markets include specialty pharmacies, long term care pharmacies, and compounding pharmacies. MassiveU is the first, mobile-first learning solutions company. We are a Naples startup using mobile apps to deliver learning content to virtually any mobile phone, tablet or online screen. We work with content providers (publishers, educational institutions, K12) to create/convert/curate, distribute, marketing and selling mobile learning content. Invigicom is an Apopka startup positioned to leverage the next generation of the internet. The next wave of the internet, generally referred to as the internet of things, is projected to bring 15 billion new connections to the internet by 2015. These connections are not people they are ubiquitous wireless sensor systems that support all aspects of our world from transportation, to infra-structure, agriculture, health care and energy.